Nora lost her back legs to an unknown trauma a few years ago. 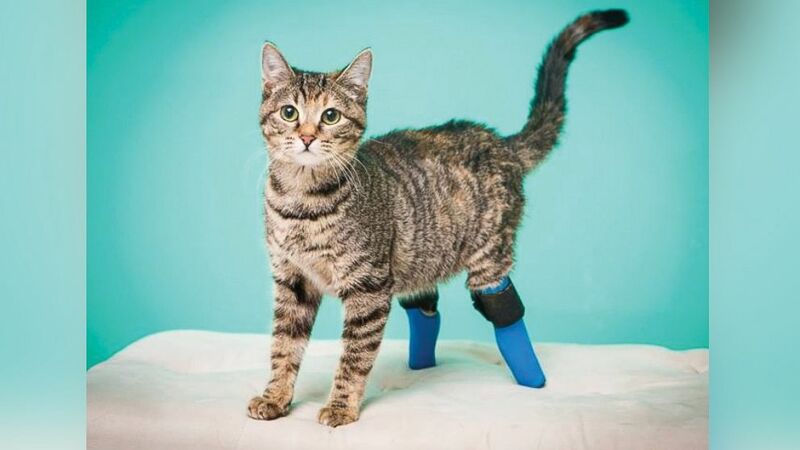 Her prosthetics do a good job protecting her back legs and allowing her to move naturally. If the Six Million Dollar Man had a pet sidekick, it would probably be one of these incredible animals. 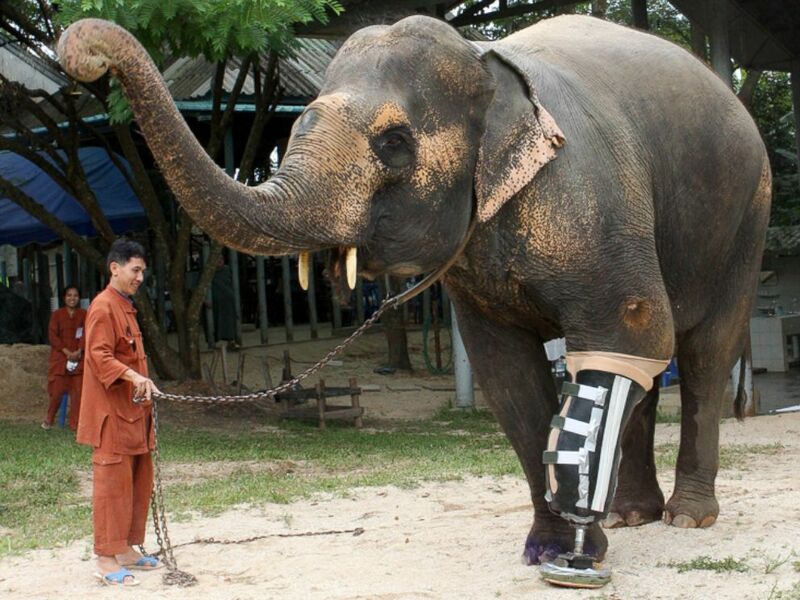 While not exactly bionic, all of them were fitted with an artificial limb after an amputation. These resilient creatures prove that people aren’t the only ones who can benefit from amazing advances in prosthetic technology. Experts say more and more of our animal friends are being fitted with replacement parts that help them get back on their paws, feet or fins in no time. Sally, a 6-year-old Saluki was found in Iraq by an American soldier and was brought to the U.S. for treatment for a damaged hind leg. She received an implant about four years ago. The veterinarian who performed her surgery adopted her. The main reason animals are receiving prosthetic limbs more often than in the past, Kaufmann believes, is because we humans have come to look upon ourselves as the guardians of our four-legged friends rather than the owners of disposable possessions. Tripod, a rescue llama, fractured his back left leg and ultimately it was amputated. 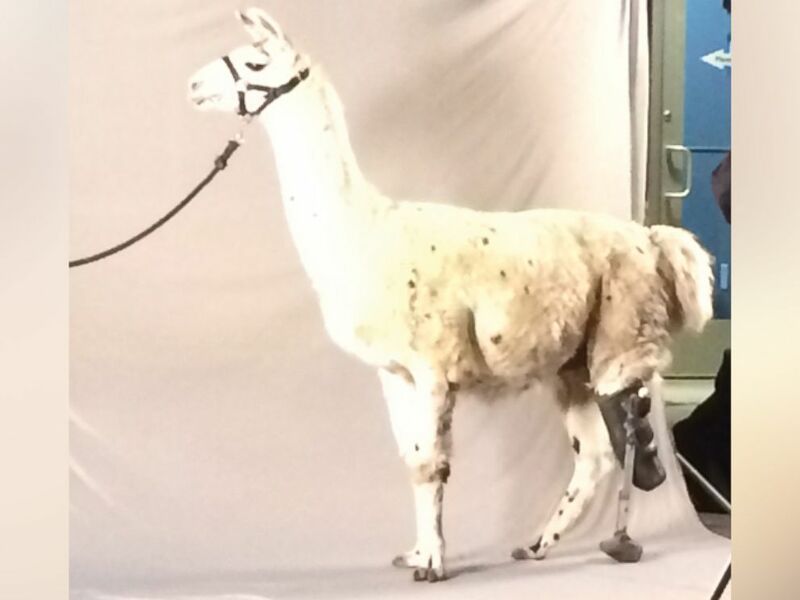 Now fitted with a prosthetic, he works as a guard llama on an alpaca ranch in Colorado. The most common site of prosthetic limb replacement on an animal is the paw or foot, Kaufmann said. When a four-legged animal has an amputation of the front leg, it’s usually high up near the shoulder. In a back leg amputation, only the lower portion of the leg typically gets removed. Socket prostheses are the most common type of replacement limb used in animals. They slip over the limb stump and then strap or buckle into place. Newer, integrated prostheses involve implanting one part of the device into the bone and then anchoring another removable part into it with a screw. Either kind provides long-lasting limb support and more natural movement, Kaufmann said. Motala, a 50-year-old elephant in Thailand who lost her left front leg after stepping on a land mine a few years ago, received a new leg. A typical dog prosthetis paw costs between $1,200 and $1,500 dollars, Kaufmann said. Cat replacement limbs are smaller and less expensive. Prosthetic limbs made for larger beasts like llamas, cows or horses are more expensive. Most animals are first fitted with a temporary teaching prosthetic. 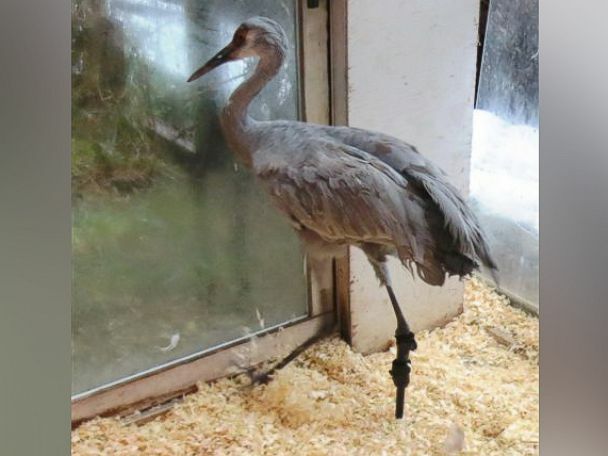 Then once they get the hang of it – typically in about two weeks – they’re switched over to permanent hardware, Kaufmann said, adding that all animals have that eureka moment when they figure out how to use their new limb. “It’s the most exciting thing in the world to watch,” he said. Bunker lives on a golf course in Canada. His leg was struck and fractured by a golf ball. 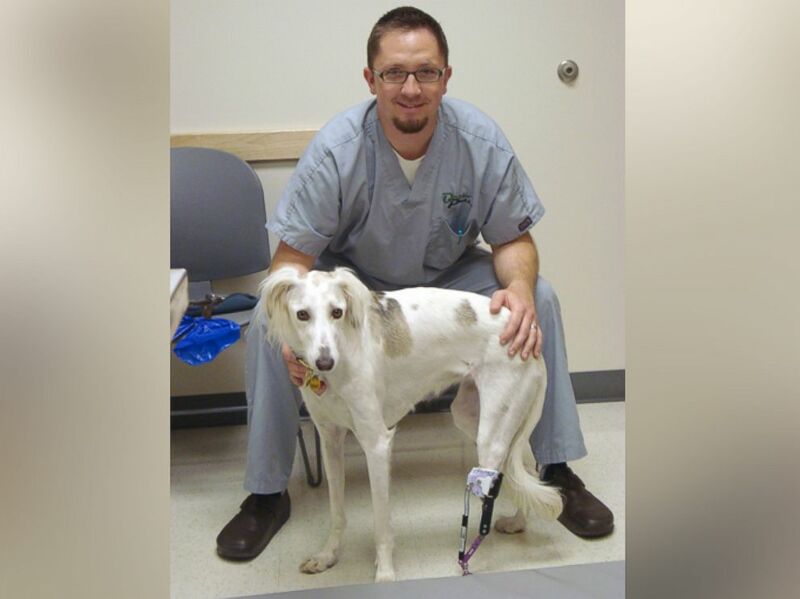 A local vet teamed up with OrthoPets to donate his amputation and new limb. He’s now happily roaming the golf course once again.